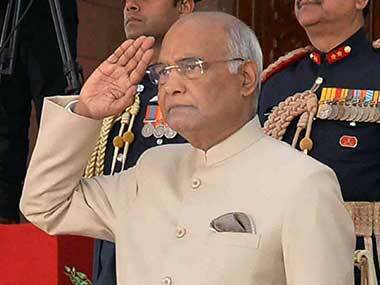 New Delhi: President Ram Nath Kovind and Prime Minister Narendra Modi led the nation on Sunday in paying tributes to Marshal of the Indian Air Force Arjan Singh, the hero of 1965 India-Pakistan war and one of the country's legendary fighters. Modi drove straight to Singh's residence in the national capital on his return from a day-long visit to Gujarat, and paid his respects to Singh, the only Air Force officer to have been accorded the five-star rank. The prime minister also wrote a message of condolence at Singh's residence and interacted with his family members. "My tributes to the brave soldier who had a fighter's qualities of valour and courtesy. His life was dedicated to Mother India," Modi wrote in Gujarati in his message in the condolence book at Singh's residence. 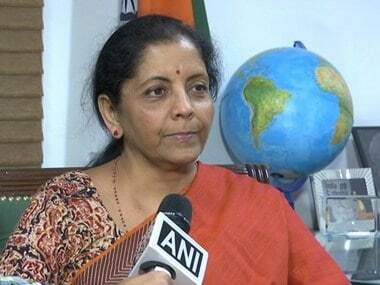 Defence minister Nirmala Sitharaman said Singh will be accorded a state funeral, and if weather permits, a flypast by military aircraft will be given to him. She said he had played a pivotal role in transforming the IAF into one of the leading air forces in the world. Sitharaman said the state funeral will be held from 9.30 am onward at Brar Square near Naraina in the national capital. All three service chiefs and many top functionaries of the government are expected to attend the funeral. Earlier President Ram Nath Kovind, who is also the supreme commander of the armed forces, visited Singh's 7, Kautilya Marg residence. 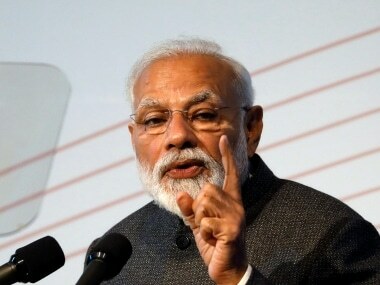 The three service chiefs — Air Chief Marshal Birender Singh Dhanoa, Naval Chief Admiral Sunil Lanba, Army Chief General Bipin Rawat — as well as Minister of State Housing and Urban Affairs, Hardeep Puri were also present. Among other dignitaries who were seen streaming in were Union finance minister Arun Jaitley, MoS for External Affairs and former army chief VK Singh, former defence minister AK Antony and Congress MP Karan Singh. Former Indian Air Force (IAF) chiefs SP Tyagi, NC Suri and Anil Y Tipnis as also several decorated officers who served under Arjan Singh during the 1965 war were present. 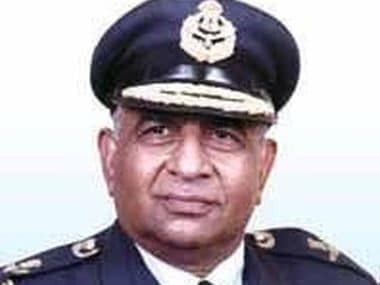 Army chief General Bipin Rawat described the five-star ranking officer as "a legend, an icon, a pilot-chief who led from the front and a philanthropist to the core". He recalled Singh's immense contribution as the Air Chief during the 1965 India-Pakistan war, the first major air battle of the IAF after independence. "It was to his credit that despite initial setbacks, we were able to overcome and overwhelm the enemy and spoil their design to annex Jammu and Kashmir," Air Chief Marshal Dhanoa told reporters. Arjan Singh's daughter, Asha Singh, and other members of the family, including his niece and actor Mandira Bedi, were present at the officer's residence, where his mortal remains lay in state. His son Arvind Singh is expected to arrive later on Sunday evening from Arizona, US. The tricolour will fly at half mast at all government buildings in the national capital on Monday in the honour of the military legend. 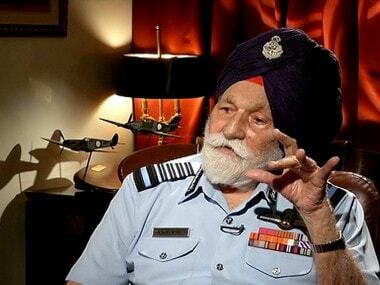 The IAF patriarch will be given a state funeral at 9.30 am on Monday at Brar Square, Sitharaman told reporters. The gun carriage with mortal remains of Singh will leave his residence at 8.30 am. Arjan Singh's family has also planned a ritual for the funeral. An icon of India's military history, 98-year-old Singh breathed his last at an army hospital in New Delhi on Saturday.